Merry Christmas! May your preparations for this festive season of gluttony be shaping up beautifully. By the time you read this I hope you will have ordered your turkey, eaten twice your weight in Roses/Quality Street (let’s not get into that argument), and your Christmas cake has been baked and is now quietly absorbing regular doses of alcohol. Some of you may be reading this and scoffing Of course! I’ve also made three batches of mince pies, a seasonal chutney and enough gingerbread men to feed the whole street! while others may be laughing Bake? Oh no, I can’t cook to save my life. For beginners, recipes are the step-by-step instructions that hand-hold us through the cooking process, but even as a seasoned expert you’re likely to refer to a recipe at some point. Recipes tell us what we need, what to do with it, in what order, and what the outcome will be. It’s the documentation behind our ideas, and allows us to take the blueprint for a tasty morsel and to share it with others so they can recreate it. In fact, this is a little like the open source documentation and tutorials that we put out there, similarly aiming to guide other developers through our creations. I have often found myself bemoaning the lack of tutorials or courses that cater for the middle level – someone who may be learning a new language, but who has enough programming experience under their belt to not need to revise the concepts of how loops or objects work, and is perfectly adept at googling the syntax for getting a substring. I don’t want snippets out of context; I want an understanding of architectural principles, of the strengths and weaknesses, of the type of applications that work well with the language. I’m caught in the place between snoozing off when ‘Using the Instagram API with Ruby’ hand-holds me through what REST is, and feeling like I’m stupid and need to go back to dev school when I can’t get my environment and dependencies set up, let alone work out how I’m meant to get any code to run. I’m sure you’ve been here too. 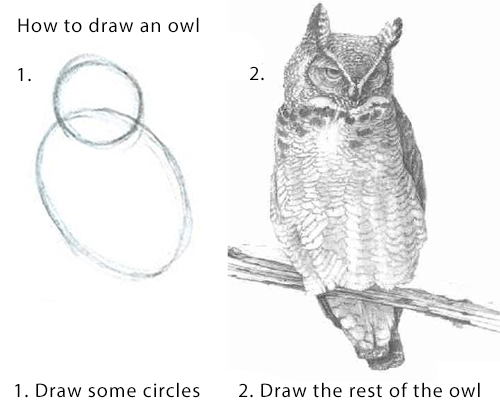 Many tutorials suffer badly from the fabled ‘how to draw an owl’-itis. It’s the kind of feeling you can easily get when sifting through recipes as well as with code. Far from being the simple instructions that let us just follow along, they too can be a minefield. Fall in too low and you may be skipping over an explanation of what simmering is, or set your sights too high and you may get stuck at the point where you’re trying to sous vide a steak using your bathtub and a Ziploc bag. Don’t be a turkey, use your loaf! My mum is a great cook in my eyes (aren’t all mums?). 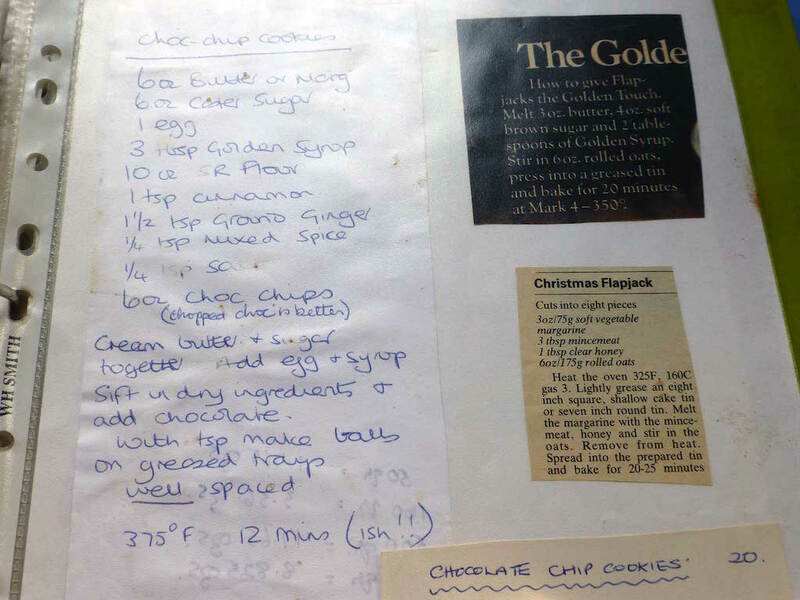 I love her handcrafted collection of gathered recipes from over the years, including the one below, which is a great example of how something may make complete sense to the writer, but could be impermeable to a reader. Depending on your level of baking knowledge, you may ask: What’s SR flour? What’s a tsp? Should I use salted or unsalted butter? Do I use sticks of cinnamon or ground? Why is chopped chocolate better? How do I cream things? How big should the balls be? How well is “well spaced”? How much leeway do I have for “(ish!!)”? Does the “20” on the other cookie note mean I’ll end up with twenty? At any point, making a wrong call could lead to rubbish cookies, and lead to someone heading down the path of an I can’t cook mentality. You may be able to cook (or follow recipes), but you may not understand the local terms for ingredients, may not be able to acquire something and need to know what kind of substitutes you can use, or may need to actually do some prep before you jump into the main bit. However, if we look at good examples of recipes, I think there’s a lot we can apply when it comes to technical writing on the web. I’ve written before about the benefit of breaking documentation into small, reusable parts, and this will help us, but we can also take it a bit further. Here are my five top tips for better technical writing. Think of the structure of a recipe. We very often have some common elements and they usually follow roughly the same format. We have standards and conventions that allow us to understand very quickly what a recipe is and how it should be used. Great recipes help their chefs know what they need to get ready in advance, both in terms of buying ingredients and putting together their kit. They then talk through the process, using appropriate language, and without making assumptions that the person can fill in any gaps for themselves; they explain why things are done the way they are. The best recipes may also suggest how you can take what you’ve done and put your own spin on it. For instance, a good recipe for the simple act of boiling an egg will explain cooking time in relation to your preference for yolk gooiness. There are also different flavour combinations to try, accompaniments, or presentation suggestions. By breaking down your technical writing into similar sections, you can help your audience understand the elements they’ll be working with, what they need to do once they have these, and how they can move on from your self-contained illustration. Ensure your title is suitably descriptive and representative of the result. Getting Started with Python perhaps isn’t as helpful as Learn Python: General Syntax and Basics . In this tutorial we’re going to learn how to set up our development environment, and we’ll then undertake some exercises to explore the general syntax, finishing by building a mini calculator. What are the components we’ll be working with, whether in terms of versions, environment, languages or the software packages and libraries you’ll need along the way? Listing these up front gives the reader a great summary of the things they’ll be using, and any gotchas. Being able to provide a small amount of supporting information will also help less experienced users. Ideally, explain briefly what things are and why we’re using it. As we heard from Erin above, not fully understanding the prep needed can be a huge source of frustration. Attempting to run a code snippet without context will often lead to failure when the prerequisites and process aren’t clear. Be sure to include information around any environment set-up, installation or config you’ll need to have done before you start. Stu Robson’s Simple Sass documentation aims to do this before getting into specifics, although ideally this would also include setting up Sass itself. The body of the tutorial itself is the whole point of our writing. The next four tips will hopefully make your tutorial much more successful. Like our ingredients section, as important as explaining why we’re using something in this context is, it’s also great to explain alternatives that could be used instead, and the impact of doing so. 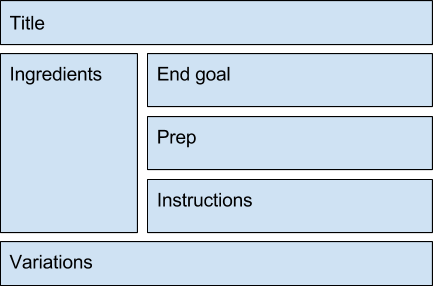 Perhaps go a step further, explaining ways that people can change what you have done in your tutorial/readme for use in different situations, or to provide further reading around next steps. What happens if they want to change your static array of demo data to use JSON, for instance? By giving some thought to follow-up questions, you can better support your readers. We’ll use a window.onload for simplicity, but typically it is best to use either jQuery’s $(document).ready() or $(window).load() or cross-browser event listeners so that you’re not limited to one. Explain what variations are possible. Explain why certain options may be more desirable than others in different situations. Reusable components are for life, not just for Christmas, and they’re certainly not just for development. If you start to apply the structure above to your writing, you’re probably going to keep coming across the same elements: Do I really have to explain how to install Sass and Node.js again, Sally? The danger with more clarity is that our writing becomes bloated and overly convoluted for advanced readers, those who don’t need to be told how to beat an egg for the hundredth time. Instead, by making our writing reusable and modular, and by creating smaller, central resources, we can provide context and extra detail where needed without diluting our core message. These could be references we create, or those already created well by others. 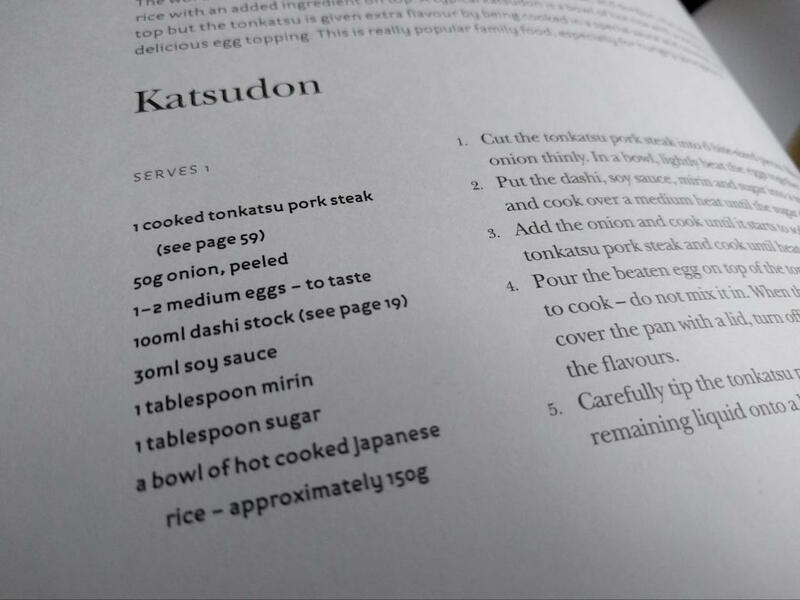 This recipe for katsudon makes use of this concept. Rather than explaining how to make tonkatsu or dashi stock, these each have their own page. Once familiar, more advanced readers will likely skip over the instructions for the component parts. Here I’m talking about accessibility in the broadest sense. Small, isolated snippets can be frustrating to those who don’t fully understand the wider context of how our examples work. A good editor can be invaluable to your work, and wherever possible I’d recommend that you try to get a neutral party to read over your writing. This may not always be possible, though, and you may need to rely on yourself to cast a critical eye over your work. Explain how you get things, even if this is a link to official installers and documentation. Don’t leave your readers having to search. Why are you using this approach/technology over other options? What happens if I use something else? What depends on this? Avoid exclusionary lingo or acronyms. Use computed property names when creating objects with dynamic property names. This doesn’t necessarily mean supporting everyone – your audience may need to have advanced skills – but even if you’re providing low-level, deep-dive, reference material, trying not to make assumptions or take shortcuts will hopefully lead to better, clearer writing. …or even better: use a thousand pictures, stitched together into a quick video or animated GIF. People learn in different ways. Just as recipes often provide visual references or a video to work along with, providing your technical information with alternative demonstrations can really help get your point across. Your audience will be able to see exactly what you’re doing, what they should expect as interaction responses, and what the process looks like at different points. There are many, many options for recording your screen, including QuickTime Player on Mac OS X (File → New Screen Recording), GifGrabber, or Giffing Tool on Windows. Next time you’re cooking up some instructions for readers, think back to what we can learn from recipes to help make your writing as accessible as possible. Use structure, provide reusable bitesize morsels, give some context, edit wisely, and don’t scrimp on the GIFs. And above all, have a great Christmas! 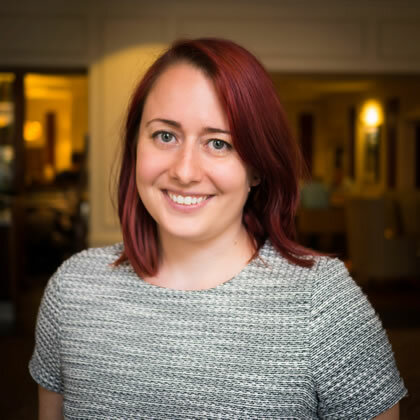 Sally Jenkinson is a consultant and digital solutions architect based in the UK, who, through her company Records Sound the Same, helps businesses from big to small with their discovery, requirements, and strategic digital decisions. Central to this are Sally’s views of responsibly using technology to enhance experiences, improving older systems and processes through transformation work, and talking about technical things in a way that isn’t scary or boring to her clients. She has worked with people including Inghams, Nokia, Macmillan Cancer Support, and Electronic Arts, and is also a speaker, an author, and overenthusiastic jasmine tea drinker. You can find out more about Sally’s work at recordssoundthesame.com, and she tweets as @sjenkinson when she’s not got her head stuck in a comic book or her hands wrapped around an Xbox One controller.